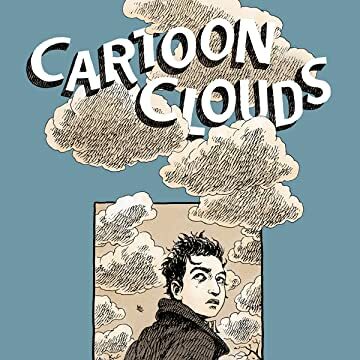 Joseph Remnant's first original graphic novel Cartoon Clouds follows the recent art school graduate Seth Fallon and his three friends as they try to navigate that anxiety fueled time between finishing school and trying to figure out what the hell they're going to do with the rest of their lives. With a mountain of debt and no clear path to financial or emotional stability, Seth struggles to find a creative direction that won't leave him homeless. In this world of fashion conscious art snobs, talentless social media "gurus," and drug addled, trust fund hipsters, he tries to hold on to the few meaningful relationships he has when the institution that held them together is no longer a part of their lives. 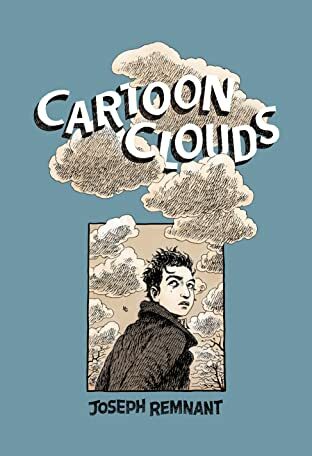 Drawn in a naturalistic style while never losing its essential cartoon idiom and written as an ongoing conversation among the characters that uncannily captures the preoccupations, fears, and ambitions of twentysomethings embarking upon their life, the philosophical nature of Cartoon Clouds is reminiscent of the films of Erich Rhoemer or Noah Baumbach. Cartoonist Joseph Remnant has been a prominent presence in the cartooning scene over the last decade, self-publishing his own comic book Blindspot, illustrating Harvey Pekar's acclaimed Cleveland, and appearing in such magazines as The Believer.